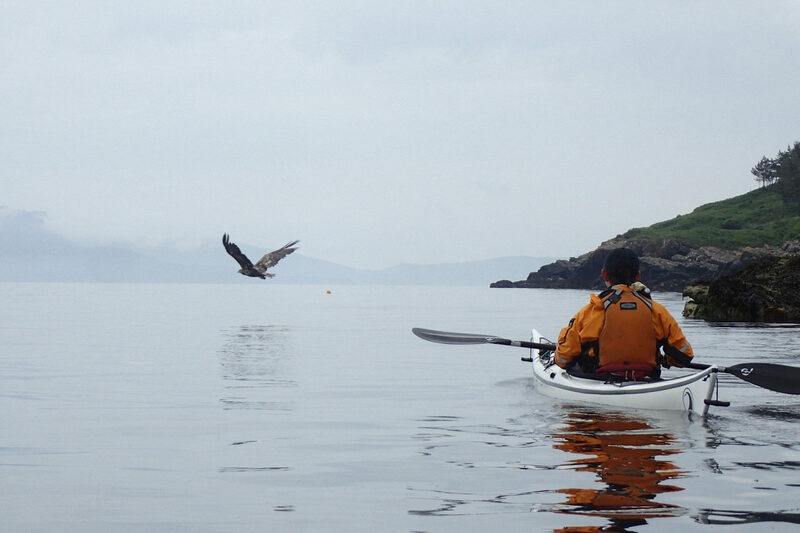 Skye has almost everything a sea kayaker could wish for: sheltered inlets hosting forests of sea weed and kelp, uninhabited islands for camping, isolated headlands, exposed rocky coasts and the tidal narrows with views of the Skye Cullin and western highlands. You should be capable of paddling in winds up to force 4 and we will aim to be paddling for 5-6 hours a day, with the necessary breaks for food and rests. Please ask if you are not sure whether you have suitable experience. Opportunities for coaching will be available as part of our journey. Some wild camping experience and skills are desirable. Kayak and equipment hire is available. Exact itinerary will be firmed up nearer the time and will be determined by the weather forecast. This is a wild camping trip, and you will need to be self-sufficient for the duration of the trips. If you are missing something please get in touch in advance and I’ll aim to help. I recommend all kit be packed into small dry-bags (about 5 litres) for going into your kayak hatches. If you haven’t camped from a kayak before I’d be delighted to help and advise.